Over the last 50 years the insulation levels required by the Building Regulations have changed beyond recognition. This means the build date is very useful when trying to assess a house’s space heating demands or sizing a radiator, boiler or woodburning stove. This article gives some background on how insulation levels have changed and what difference it has made to energy use. It explains how building fabric heat losses in a typical 3-bedroomed house, built to the Building Regulations prevailing in each decade, have dropped from around 9,100 Watts for a 1970’s built house to 1,410 Watts for a house built in 2016. That means that a 5kWh output woodburning stove may be perfect for a 1970’s home but would be highly unsuitable in a 2016 built house (if it existed you would need a 0.8kWh output woodburning stove or a single bar on an electric fire!). 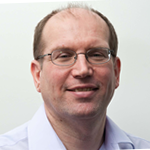 The consequences for radiator and boiler sizing are similar if you want to avoid an overheated house. Heat loss through the building fabric is calculated by taking the u-value of each material used in the house. The u-value, measured in W/m², or Watts per square metre, tells you how much energy is lost for every 1°C difference between the two sides of the material. It’s relatively easy to find out the u-value of common materials and calculate this loss for a house or for a room. If you have a material with a poor u-value then you can generally improve it with insulation. The more insulation you put in the lower the u-value. Air leakage or vetilation heat loss in a house is harder to measure and control. We need a certain level of fresh air to replenish the air that we breathe so there is guidance for how many air changes an hour each room in a house should have. The problem is that if there is too much air leakage we lose our expensively heated air much faster than we need to, resulting in bigger heating bills and colder rooms. We are not going to consider air leakage in any detail here, although as houses get better insulated to reduce heat loss through the fabric then the heat lost through air leakage starts to become more significant. Table 1 below shows the u-values required by Building Regulations for each building component each decade. Building Regulations actually change more frequently than that (about every 5 years or so and each part of the regulations may be updated at a different time) but it gives a good guide to what has happened over the last 50 years. Highlighted in violet is the first time the u-value requirement for a component was strengthened. We have started the table with 1970. Why? Well it was the oil crisis of the 70’s which made the government first seriously think about reducing energy usage. The crisis drove changes in the 1976 Building Regulations which set minimum insulation levels for the first time. Before 1976 the standard cavity wall had not changed much since the end of the 19th Century. The violet highlight shows that walls and ceilings were the first areas that got a focus from the Building Regulations, with floors and windows following on later. Until 1994 you could still put a single glazed window in a house (u-value 4.8). When double glazing became a requirement the standard was set at 3.1 (what the double glazing industry could achieve at the time). In 2002 stricter regulations were introduced for windows for both new houses and also for replacement windows in existing houses. To illustrate the impact of the changes in u-values over the years let’s take an example house built in each decade. Our simplified 3-bedroom two storey example house is a rectangular box 10 metres long x 5 metres wide x 5 metres high (we don’t count the pitched roof as part of the house as we will insulate the floor of the loft). We assume that the occupants try to keep all the rooms at 20°C for 15 hours per day whilst the outside temperature is at zero (0°C); that the floor is a suspended timber floor with clay underneath. We will take a house with a cavity wall construction insulated to the standard prevailing at the time of build; we will also assume that air leakage is equivalent to 1.5 air changes per hour (we briefly use this figure to compare ventilation heat loss with fabric heat loss). Our simplified house is not that different to a house built today; today’s average house has shrunk a little over the years in length to be 8.6m with a 5.2m width. So what is the impact of improving u-values on the heat loss from this house? Assuming your gas cost 4p per kWh then if you lived in our 3-bedroomed house built to today’s Building Regulations you would be spending around 16% of what someone living in an unmodified 1970’s built house would spend to heat it when the outside temperature was a constant 0°C. That figure ignores the cost of heat loss due to air leakage which is worth briefly mentioning. The ventilation heat loss (air leakage) of a 1970’s house would be about 2,475 Watts when the temperature outside was 0°C. That would add about 37kWh and £1.49 to the day’s demand, taking the total heating cost from £5.46 to £6.95. A 2016 built house is better on air leakage but it is not dramatically better. 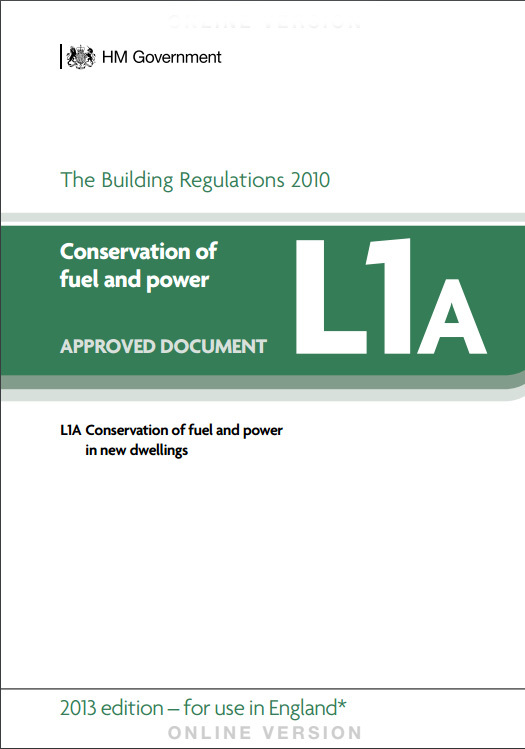 It was only in the Building Regulations issued in October 2010 (see updated 2013 edition, Approved Document L1A: conservation of fuel and power in new dwellings) that airtightness was a specific and not very demanding requirement. Airtightness is checked by an air leakage test. A new build house is pressurised by 50Pa above atmospheric pressure using fans mounted in an outside door and the amount of air required to maintain this pressure is measured. On this test the Building Regulations target is 5m³/(hours per m²) and the maximum allowable is 10m³/(hours per m²). If you compare this with a PassivHaus designed house, air leakage is an order of magnitude lower at below 0.6m³/(hr per m²). In a 2016 built house it is likely that air leakage is a bigger cost than heat loss through the fabric. That’s the opportunity for future improvements in energy efficiency in Building Regulations.However once you go much below 3.5m³/(hr per m²) then other features need to be added to the house design such as Mechanical Ventilation Heat Recovery Systems (MVHR systems). To show a little more detail about how the heat loss figures are calculated, below are the fabric heat loss workings for the 1970’s house. then this would equate to about £5.46 on your gas bill for this day. I hope you have enjoyed this brief look at the impact of Building Regulations u-value changes over the last 50 years. Please feel free to comment on my simplified approach to explaining it and correcting any errors I have made.